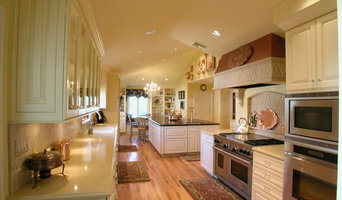 SDY Builders, Inc. is a high end builder specializing in major remodels and custom homes. With over 20 years experience in the building industry we can provide our clients with all the components necessary from design to project completion. SDY Builders can build the team consultants necessary for each project large or small. The point where professionalism meets precision. Real Estate Developers specializing in high-end custom luxury homes, ground-up construction, renovations, remodels from just bathrooms and kitchens to full homes. We are a husband-wife duo dedicated to making your dream project come true. Thornton Build & Design is led by RC Thornton, a highly skilled real estate developer and top-producing real estate agent. Through Thornton Build & Design, RC specializes in high-end residential development, building incredible and breathtaking contemporary and traditional designed projects all throughout Los Angeles, CA. 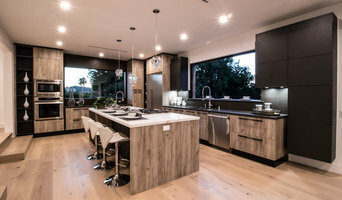 Over the past 15 years, Thornton Build & Design has completed approximately 20 homes ranging from as low as $500,000 to as high as $8 Million and currently has several mega projects in the works including a $25M new development project in Beverly Hills. Originally from Texas, RC moved to Los Angeles in the late eighties. RC supported himself by becoming a Real Estate agent for Coldwell Banker on the Sunset Strip and eventually started using his own capital to invest into dilapidated properties for reconstruction. Once RC sold his first residential real estate development project in return for a parlayed six figure profit in 2005, RC fell in love with the development business and transitioned from full-time agenting to developing. Since then, RC has been able to detect properties in robust neighborhoods at a fraction of their value and masterfully transform these properties into high-end properties for lucrative returns. While RC is not building and developing homes, he is hanging out with his wife Lorena and his five kids. MWCH is a modern homebuilding company founded on the traditional principles of quality, integrity and value. At MWCH, our talented team shares a common commitment - to ensure that our name, our word and your home stand for something. As a result, MWCH is the most trusted builder of new home communities and fine custom homes throughout Southern California. Your home is a commitment to your family and your way of life. Woodbridge Pacific Group seeks to fulfill this commitment by selecting premium neighborhood locations, talented architects, designers and craftsmen who utilize time-tested methods and materials from foundation to finish. This dedication to details, both seen and hidden, are what distinguishes a Woodbridge Pacific Group home. The Woodbridge Pacific Group team, led by company partners Todd Cunningham and Carl Neuss, brings the knowledge and experience of more than two decades of building success and a solid history of integrity, expertise and dedication to customer service, ensuring that each Woodbridge Pacific Group community and home will bring years of pride and pleasure. Founded in 2004 by Interior Designer Ann Sung and Developer Eric Chen, the corporation builds 25 + luxury homes annually across Southern California’s most fertile real estate communities. Adding to the firm’s success is a division of commercial developments across Southern California. The Chateau Group brand identity is renowned for incomparable design, architectural value, and continually honored within the California communities that they develop. The parent company, Chateau Group USA, is a privately held corporation and is recognized as one of southern California’s most flourishing luxury real estate developers in the San Gabriel and Orange County areas. For over 10 years Gaia Construction has been serving southern California as one of the top luxury Design-Build firms in the State. As a turn-key firm, we are dedicated to providing a seamless custom home building experience. PRE CONSTRUCTION- Hands on interaction with architects, engineers and specialists. Design input, evaluation and recommendations. Detailed budget formation and analysis. Sub-contractor and vendor evaluation and qualification. Scheduling and logistics coordination. CONSTRUCTION- Full time site management. Subcontractor coordination & management. Cost management & project accounting. Quality, scheduling & safety management. Government departmental coordination. Realization of the dream! POST CONSTRUCTION- Detailed systems and product warranty manuals. Custom property binders for maintenance and upkeep. Coordination with sub-contractors for needed maintenance warranties. Review of all system & finishes. Elective property maintenance plans DEVELOPMENT/INVESTMENT- Property identification through acquisition. Project viability determination, scope, budgeting and value engineering. Design, architectural, engineering and governmental department processing. Full pre-build and build services. Customized post build plan tailored to specific investor/investment needs and goals. President and CEO, Carl Akins, has earned an elite reputation as a passionate "Builder's Builder" in Orange County. Founded in 1973, Carl Akins Company was built on the principals of integrity and precision that were handed down to Carl from his father, Ed Akins. Carl's transparency, creativity, planning and problem solving capabilities are the cornerstones of not only his career, but also of the finest homes of some of the most influential families in Southern California. In 1998 Carl's expertise was honored with the Southern California Building Industry Association Lifetime Achievement Award. Partnering in 2008, Jay Akins has managed numerous high-end ground up and remodel projects. Jay is committed to maintaining the Akins family legacy of excellence. Honoring the unique heritage passed from grandfather to father and from father to son is not just an Akins family tradition; it is Jay's mission statement. W Builders is fully insured, California licensed, and one of the few builders in the area with an in-house field staff. Following decades of developing a vetted pool of design professionals, suppliers, and tradesmen, you can rest assured that we'll bring together the right team to meet your high-end construction needs. Unique design challenges and 'one-off' product demands are welcomed and encouraged. 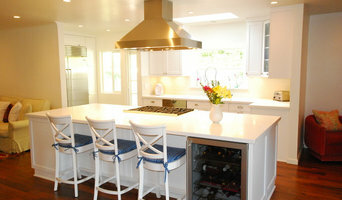 Sandoval General Construction offers the best Los Angeles remodeling services for your home. We provide cost- effective kitchen/bath and general remodeling in the greater Los Angeles area. When working with professionals like us you are guaranteed a stress free process with quality work and individuals that strive to exceed your expectations. A home remodel, whether it involves only kitchen or bath, is a long-term investment so you want to be confident in hiring a quality contractor. Our goal is to provide you with an outstanding product that will meet your needs and expectations. Our team's experience ranges simple updates to dream makeovers from the ground up, we have been providing interior and exterior remodeling services in all of Los Angeles for over 15 Years. Whether your looking to update a Traditional home with a timeless look or Modern home with bold designs, we do it all. Throughout the years we've learned to help our customers make their ideas become reality with beautiful final products that will please you for years to come. Regardless of the type of renovation you are considering, give us a call for a free estimate and on site visit. Our office is centrally located in Glendale, CA. Please feel free to reach out to us by calling or email us directly with any questions and we will make sure to respond in a timely fashion.